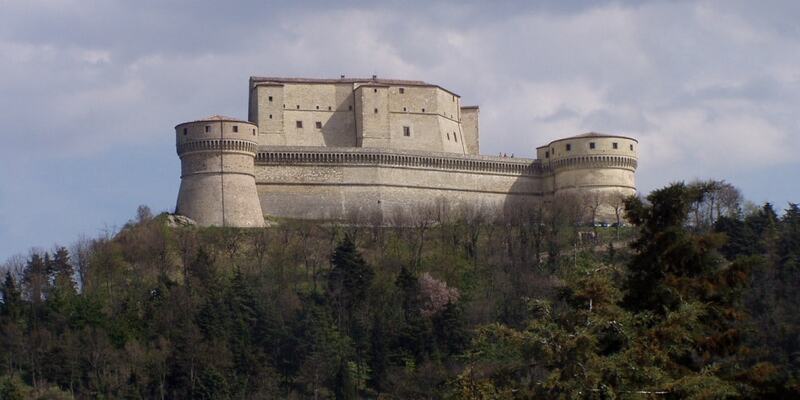 The Fortress of San Leo is best known as the site where Count Cagliostro died. It was one of the palaces owned by Federico da Montefeltro and his wife Battista Sforza and was a fortified, palatial retreat. It is now a museum.